Welcome to the website of Dr. Eric J. Littleton. 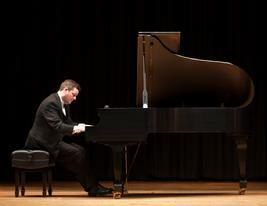 Dr. Eric Littleton is a family physician who extends his practice of medicine through the piano. Using styles ranging from easy listening to a touch of classical, his arrangements of hymns, popular songs, lullabies and original works are uniquely his own.